There’s a New Christian Radio Station In Town! Fortunately, we are seeing more internet radio start-ups like Pandora who offer alternatives to terrestrial radio . While Pandora is a great alternative, I’m not convinced their algorithms work so well. 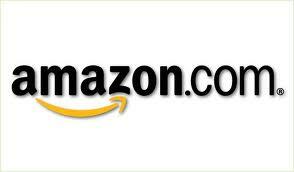 Pandora requires that artists have physical distribution through Amazon.com before they will add the artist to their system leaving out many independent artists who are making great music. I’m in no way knocking major label artists as many of them are making great music. However, I would like to hear the other great music that the Christian terrestrial radio establishment ignores. I recently discovered JamTheCity.com and JamTheHype.com, a couple of Christian internet radio stations that are programmed by a human who formerly worked as a programmer at a large Christian market station. The programmer makes a great effort to find music from new and existing artists whether they are on major labels or operate independently. No “church lady” testing is done! They just play great music. I highly recommend these stations for those Christian music listeners who want to be exposed to great new artists and music they may not otherwise hear. Listeners can tune in via the website or they can grab the Live 365 app to listen from an iPhone, Android or iPad. Click on the links below to check out these two great stations. As a music marketing professional, I find it interesting to watch the new & old marketing techniques unleashed by retailers during the biggest selling season of the year. For the last few years, media & analysts have been proselytizing the end of the physical newspaper. Many newspapers have closed their doors while others are finding their digital niche. Personally, I prefer to read national papers like USA Today on-line because they do such a fabulous presentation for the iPad. However, I still subscribe to the physical version of our local Sunday paper, The Tennessean. My main reason for subscribing, is to see, touch & feel the sale circulars. A few years back, I developed the habit of watching the Best Buy, Target and Wal-mart ads religiously. I couldn’t wait to see the ads that I had booked for new music releases along with competitors’ ads each week. The circulars served as a barometer for the level of marketing support behind select music titles and the level of support the retailers were giving the releases. Those tiny little pictures of CDs in the Target, Best Buy and Wal-mart Sunday circulars cost record companies $25K-60K each with that price doubling during November/December. I would feel like a king on Sunday as I viewed my ads in the circulars knowing my artists were viewing the same ads and getting their egos stroked! Then I would pray that Wednesday’s Soundscan numbers would justify the ad spend, which it very rarely did. One of my favorite sales circular weekends is Thanksgiving. I never venture out to shop on Black Friday but I do get a rush viewing the ads. This year, one ad in particular caught my attention. Low and behold… there was an Amazon.com circular advertising Cyber Monday in the physical newspaper. Really? I had to slap myself a few times to make sure I wasn’t dreaming. Exactly one week later, there was another Amazon.com circular in the physical version of The Tennessean. The biggest on-line retailer in the world now running physical ads. Could what once appeared as the runaway digital revolution now be back peddling? Has the digital age found consumers’ threshold for letting go of physical? Did Digital & Physical finally collide to make the perfect storm? What unusual marketing are you noticing this holiday season? Our latest edition to the “One Great Business” series is Atlanta Pro Audio/MacroTek, a pro audio & Apple authorized dealer and service center in Atlanta, GA. Atlanta Pro Audio’s founder, Chick Cusick, has been serving both pro and amateur customers for over twenty years creating a legacy of relationships throughout the recording and live music industry. The store specializes in vintage music gear as well as the latest keyboards, recording equipment and computers. Atlanta Pro Audio’s biggest asset is their staff of friendly professional audio engineers who have worked on multi-platinum selling records. Customers can have confidence that they are buying from a store that knows and cares how the gear works. Every purchase from the store comes with one free year of technical support which is an added bonus that I really like! Rick Sheppard, who recently became a principle owner of the business, bring’s a wealth of expertise to the twenty year old company with his experience as an audio engineer/programmer for producer Dallas Austin on projects with TLC, Boy II Men, Pink, Madonna, Michael Jackson, Janet Jackson and Gwen Stefani to name a few. Rick has served as a consultant for Logic and has been featured multiple times in Keyboard Magazine. His passion for Apple Computers brought in the addition of MacroTek, an authorized Apple dealer and service center. One of the fun things about my recent visit to Atlanta Pro Audio/MacroTek was their Mac Museum. The collection of vintage Mac computers gives customers an opportunity to see the evolution of the Mac computer from the very first Mac to the latest Macbook Air. On-line customers can take a video tour of the Mac Museum via the website. Whether you are a professional audio client or someone who does it for a hobby, Atlanta Pro Audio is the place to find the best prices and service on all audio gear. If you don’t live within driving distance of the store, they offer an incredible on-line alternative at AtlantaProAudio.com . The store also offers great prices on Apple consumer products including, iPads, iPods, Macbook Pro, Macbook Air, AppleCare and a collection of cutting edge accessories. Need your iPhone, iPad, iPod or Macbook repaired? Atlanta Pro Audio/MacroTek can help! 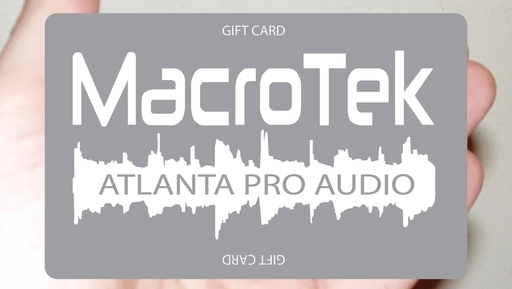 Atlanta Pro Audio/MacroTek is making a special offer to all readers of the Music Gardener Blog. When you place an on-line order, enter the coupon code The Music Gardener and save $10 on a purchase of $25 or more. If you visit the store live, print off this post and bring it with you for the discount. Offer is good through December 31, 2011 and can not be combined with other offers. There is no doubt that we live in an App World, thanks to Steve Jobs and his brilliant team at Apple. Apps have become a real focal point for quick bonding and conversation with friends and new acquaintances. I stumble across new apps daily and decided to share some of my current favorites. Shazam – My absolute favorite app! In the past I would lose sleep at night if I heard a song that I liked on the radio/tv, watching a movie, riding an elevator or strolling through a store and didn’t know who sang it. 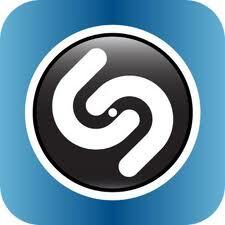 Now, I Shazam it and buy the song. Shazam just added a lyrics feature to the app which I’m enjoying thoroughly. USA Today – I’m a news junkie and really love reading the news. This is a way to read the USA Today for free. I’m not sure how long free will last but I’m definitely taking advantage of it while I can. Run Pee – Ever been at the movies and had the urge to pee but you don’t want to miss something important? Run Pee gives you the best times during the movie for a quick restroom break. Everyone over 40 will want this app! PhotoSpeak – Buy it, you will love it! Hours of fun creating funny creepy avitars and videos from photos of your friends and family. 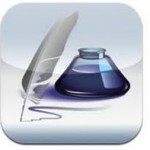 Songwriter’s Pad – Great app for songwriters! Helps you record and organize your song. 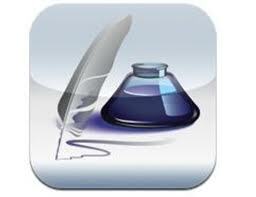 The app includes a dictionary, rhyming dictionary, and suggestions for words and phrases. 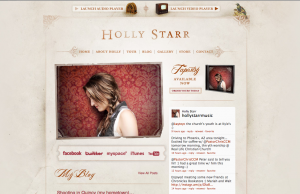 You can record a live demo to accompany the lyrics giving you a great way to store or share a song. When the iPad was first introduced a year ago, I really didn’t feel the need to purchase one. Why would I need yet another device to keep up with? I would often play with the demo iPads during visits to the Apple store but I still didn’t feel the need. As I began doing a little more research on some of the apps being created for the iPad, my curiosity was slightly aroused but I still didn’t understand the hoopla. Could the iPad possibly prove to be the next frontier for marketing music? Fast Forward a year later to the release of the iPad 2. The addition of the camera on the front and back pushed it over the edge for me. I’m one of those guys who doesn’t like to feel that I’m not in the know with tech gear that touches music and entertainment in any way. That feeling began to sink in. Every day I was introduced to some new app that could possibly change the way we consume and interact with music and video. Fortunately, I had a birthday shortly after the release of the iPad 2 and I have an amazing wife who decided to surprise me with a wonderful gift…the iPad 2. Wow! In a few short weeks, the iPad 2 has drastically changed my every day life. It’s amazing how quickly the iPad 2 has replaced the many tasks I formerly did with my laptop. Once I began using my Mobile Me account in conjunction with the iDisc App, I now have all of my files at my fingertips with my iPad 2 and an internet connection. Over the next few months, I will explore and share some of the amazing apps I am discovering. 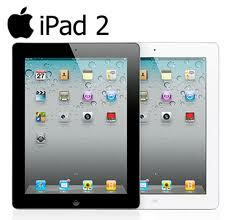 Do You Need An iPad 2 ? Creating a Great First Impression! I receive a number of inquiries each week from artists looking for an artist manager or help marketing their music. The first thing I look for is their website and I am surprised how many artists don’t have one. The website allows me or potential fans to quickly sum up the state of an artist’s career. If there isn’t a website, I look no further. While I am a huge proponent for social network sites, using them as a website screams “I am an amateur and I have a long way to go before I’m ready for the Big League!” Social network accounts should be used to drive people to your website with the actual website serving as the home base hub. WordPress has made it extremely easy for anyone with a computer to create an inexpensive site with a high dollar feel. It’s really simple to create that great first impression which will set you apart from thousands of other artists. Do you have any examples of Great First Impression websites? iPhone 5 Available April 15! Once again Steve Jobs & Apple create a Cupertino style earthquake heard around the world with last night’s announcement of the iPhone 5! Many were expecting the announcement to come later this summer but Jobs’ announcement that the iPhone 5 would be available on tax day, April 15, reminds us of how he thrives on the wow factor and element of surprise. Apple apparently made a deal with every state in the US to waive all sales tax for the big “tax day’ launch. There are some exciting new additions for the iPhone 5 guaranteed to satisfy any Apple fan. The biggest news centers around the fact that the iPhone 5 is a satellite phone which will make all mobile phone carriers obsolete! Apple partnered with Richard Branson’s Virgin Satellite company, Virgo, to create a phone experience that will change the way the world communicates. Apple and Virgo will be giving away a trip to space aboard Branson’s Virgin Galactic to 5 lucky winners. Five iPhone 5s will be loaded with a winning message and mixed in with the first week shipments which are expected to be near 2.1 million! Not yet confirmed but inside sources say Apple will offer a 500 gig version of the iPhone 5 for $999. We are so excited to be one of the first blogs to wish you a very happy April fools with a totally fake story about Apple that we dreamed up for the iPhone 5. April iFools!